You use your garage disposal regularly and expect it to work properly when needed. When the unit fails to work properly, we know how irritating that can be, which is why we suggest that you call us. Over time, food particles, grease, soaps and other debris builds up and causes your disposal to malfunction. If you are looking for and reputable company that offers reliable garbage disposal repair in Phoenix, AZ, we assure you that you can depend on our technicians to do the job right. We are a well experienced company that has been in operation for decades and offer first-rate services will not be duplicated. If your disposal is making loud or grinding sounds when you turn it on or if you smell a strong odor coming up from the sink, we advise you to contact us right away. 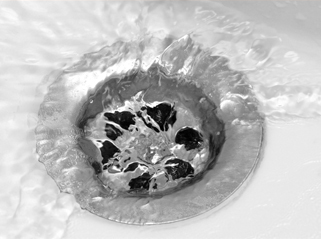 You can trust that our skilled crew has the expertise to fix any problem you are experiencing with your garbage disposal. We will provide you with top quality and dependable garbage disposal repair services that you will not be found with any other plumbing company in the region. We guarantee that we offer the best services in town and will not be beat by the competition. Our team is very efficient and will fully inspect your plumbing. You can count on them to get at the root cause of the trouble and to fix the problem it right away. Our expert crew has been well trained and knows what to look for and what they are doing. If you are having problems with your disposal, we urge you to contact us as soon as possible. We offer highly efficient and professional garbage disposal repair in Phoenix, AZ that will not be matched or surpassed. Give us a call today to schedule an appointment with our top-rate company.